Hi! My name is Nancy and I am the owner of the blog, Style ‘n Décor Deals. I am very excited to be a guest poster on Makobi Scribe. 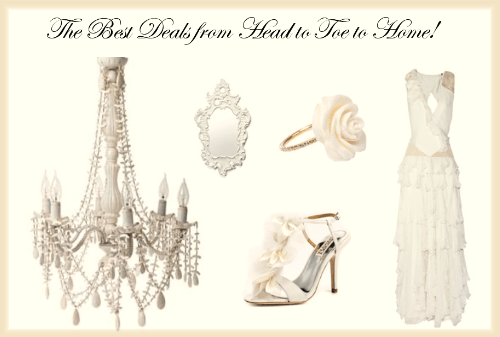 For those of you who are unfamiliar with my blog, I would like to tell you a little bit about Style ‘n Decor Deals. My site is dedicated to finding “the best deals from Head to Toe to Home.” I strongly believe that every woman can have beauty and style on and and around her for a lot less!. I have always had a passion for fashion and design. When designing and building my new home, I discovered great deals I wanted to share with others. While I had always shopped for fashion deals for my daughter and myself, I was surprised at the amazing deals I discovered on lighting, architectural onlays, bedding, furniture and other home décor items. Hence, my blog was born. Style ‘n Décor Deals posts deals daily, but if there is ever a specific fashion or décor item you need me to find, let me know. I am happy to try and help!